The Primordial Sound Meditation (PSM) technique originates from the ancient Vedic tradition of India. Deepak Chopra, M.D. and David Simon, M.D. revived this authentic process and made it available in a format that can be easily learned and practiced by everyone. Primordial sounds are the basic, most essential sounds of nature. The specific Primordial Sounds that are used in meditation are mantras. These mantras are personal for each participant. Your mantra is your own and is repeated silently. When you learn Primordial Sound Meditation, you will receive a personal mantra. A mantra is a specific sound or vibration, which when repeated silently, helps you to enter deeper levels of awareness. A Sanskrit term that translates as “vehicle of the mind”, a mantra truly is a vehicle that takes you into quieter, more peaceful levels of the mind. The mantra you will receive is the vibration the universe was creating at the time and place of your birth, and it is calculated following Vedic mathematic formulas. When you silently repeat your mantra in meditation, it creates a vibration that helps you slip into the space between your thoughts, into the complete silence that is sometimes referred to as “the gap”. Your mind is no longer caught up in its noisy internal chatter and is instead exposed to its own deepest nature: pure awareness. 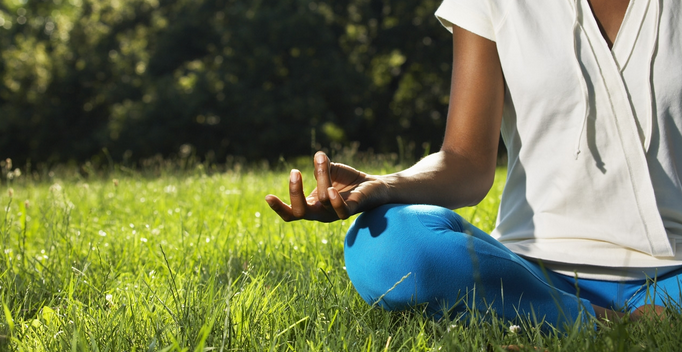 As many studies show, a regular meditation practice offers numerous health benefits, including lowering blood pressure, strengthening the immune system, and releasing stress and fatigue. In fact, meditating for half an hour provides more psychological rest than a full night’s sleep. As you meditate on a regular basis, you will notice an increased sense of wellbeing as well as greater energy and creativity. “Meditation is not about forcing our mind to be quiet; rather it’s a process to rediscover the quietness that is ever-present. Behind the screen of our internal dialogue is the silence of pure awareness – a silence that is not disturbed by thoughts of the past or concerns of the future,” says best-selling author, physician, and pioneer of mind/body medicine, Dr. Deepak Chopra says. The post Primordial Sound Meditation appeared first on About Meditation.